Marcus Chown is an award-winning writer and broadcaster. Formerly a radio astronomer at the California Institute of Technology in Pasadena, he is cosmology consultant of New Scientist. 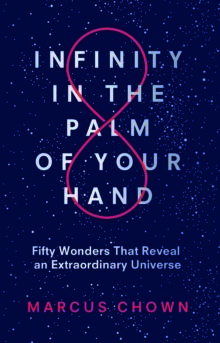 His books include The Ascent of Gravity (named the Sunday Times' 2017 Science Book of the Year), What A Wonderful World, Quantum Theory Cannot Hurt You and We Need to Talk About Kelvin (shortlisted for the 2010 Royal Society Book Prize). Marcus has also tried his hand at apps and won the Bookseller Digital Innovation of the Year award for 'Solar System for iPad'.